Diane Ravitch is an eminent Research Professor of Education at New York University, a prolific author, and one of the strongest voices in the world for the importance of public education. 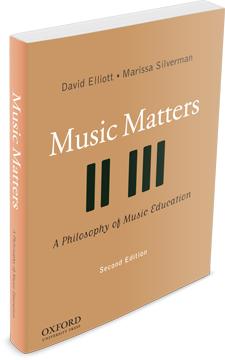 As she’s told David personally, as she’s said in numerous media interviews and speeches, and in her writings, Ravitch fully supports the enormous importance of arts in education, especially music. Today—Valentine’s Day, 2017—her blog reminds us that, in the midst of stressful and dangerous times, we must find ways to engage our children in joyful and loving experiences. Music can do this! Indeed, thousands of music educators worldwide make this happen, in a wide range of ways, with and for their students. Ravitch gives an example. A couple of years ago, the school administrators at a Bucks primary school in the United Kingdom staged a surprise opera “intervention” during the children’s lunch time. Suddenly, the children were being serenaded with the arias of Verdi, Rossini and Puccini!